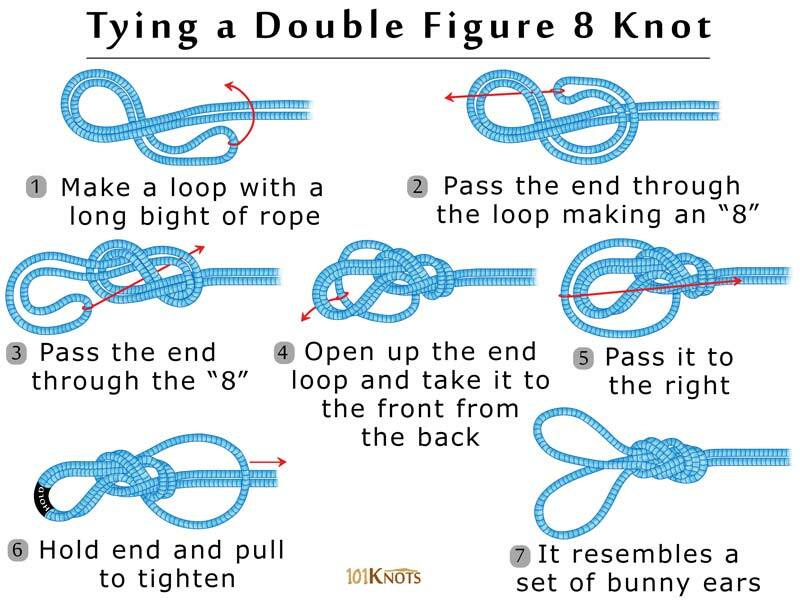 The double figure 8 loop is based on the figure 8 knot. Also known as bunny ears, it forms a couple of loops that mainly distinguishes it from the similar figure 8 on a bight and figure 8 follow through (both forming a figure 8 loop) that contain a single loop in their structures. 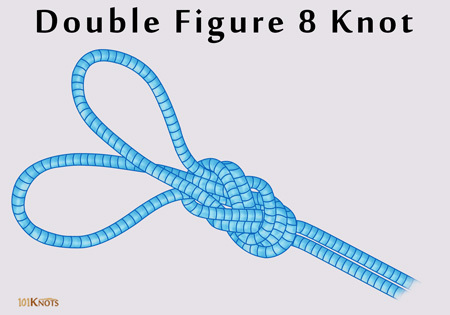 It is unlikely to slip such that one loop gets larger than the other making the double figure of eight loop knot stable.